It must be hard opening an Italian restaurant in Chicago, especially with a neighborhood called Little Italy, a tourist trap called Eataly, and all of the "Mom and Pop" Italian restaurants scattered everywhere. But this isn't stopping Siena Tavern. Located in the busy neighborhood River North, this Italian restaurants seems to be competing quite well. Reservations are hard to come by and reviews have been over the top. So I knew I had to give it a try... so we came for brunch. We were lucky enough to find a Gilt City coupon before dining here; however, even without one, I would not hesitate coming back. They are home to MY FAVORITE APPETIZER in the city--a dish called Coccoli. The restaurant is very main stream with elegant decorations and a more hip atmosphere. The waiters and waitresses are attentive despite the busy restaurant for brunch. Unfortunately, the cost is the main problem I find with the restaurant... brunch priced at easily $30 per person (with one drink). For students, this is definitely a drawback. Also, the other dishes we tried were great, but were not perfect. For that reason, despite having my favorite appetizer, I decided on a 4-mile rating. This appetizer has just become MY FAVORITE APPETIZER in the city. It surpassed Davanti Enoteca's ricotta and honeycomb dish. Coccoli consisted of crispy, airy dough balls resting on top of prosciutto de parma, which is served along side scoops of stracchino cheese, basil oil, and all drizzled with a truffle honey. You can tell they thought of every component, making the dish absolutely INCREDIBLE. There is a contrast in temperature with warm dough, yet cold prosciutto and cheese. There is a contrast in textures with the creamy cheese, sticky honey, and crispy dough. And, there is even a contrast in tastes--sweet from honey, salty from prosciutto, and an overall extensive depth of flavor from both the truffle honey and basil oil. You don't need to worry about eating a strong cheese; stracchino is a young, mild cheese that lacks a rind and a smell. To eat, break open one of the warm crispy dough balls, fill with one of those cheese clumps, layer in a generous amount of prosciutto, don't forget to scrape every last bit of honey, and finally, ENJOY. You will not be disappointed in this dish and I highly recommend it to everyone. Next time, I will be ordering an entire dish just for myself. Since it was brunch, we decided to take advantage of their lunch options. Their brunch items didn't seem worth their money, especially for the sizes of the dishes seen either in person or online. Now for the lobster roll, you are definitely getting a large plate. Served on a toasted brioche bun (Lobster roll style), the chef layers on fresh frisse, bacon, sliced tomatoes, and an herbed aioli before topping the bun with a generous amount of citrus poached lobster. The dish comes with parmesan-sage fries, a homemade ketchup, and additional aioli on the side. In terms of the lobster roll, I will say the amount of lobster is misleading. The entire bun is filled with veggies with the lobster just creating the top layer. I won't complain too much because I still thought it was a fair amount of lobster; however, I still want to warn everyone. The lobster is very tender. Unfortunately, I thought the bun had a little too much butter. The fries were addicting, but we only enjoyed the ones covered in parmesan. For wanting more of a fresh meal, the lobster roll turned out to be very oily and unusually fatty in my opinion. Recently, my girlfriend and I have been on a short rib craze. Once we saw short rib ravioli, we knew it was one of the dishes to choose. Here, their homemade noodles are layered together with shredded short ribs before being cut into the classic ravioli square. It is served with a roasted porcini mushroom and taleggio cheese sauce. We just assumed the dish was going to be rich, but that is an understatement. Especially with that mushroom sauce/gravy, the dish was too rich to enjoy by yourself. I was glad we decided to share it. The pasta was cooked to a perfect al dente, giving it just enough bite to understand the greatness of perfectly cooked pasta. It came with five raviolis, which is more than enough. Don't know if I would order this dish again, but I am glad I tried it. It always seems like a fun idea to have a morning cocktail when enjoying brunch, especially at a place known for their drinks. I chose to have a bloody mary, while she chose cocktail No. 2. 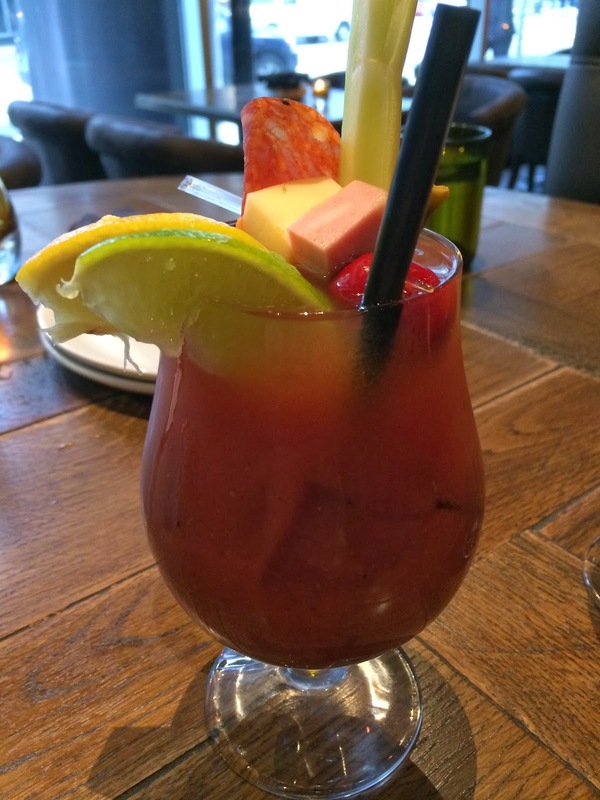 My bloody was garnished with a skewer of salami, cheese, ham, and a cherry pepper, as well as celery, a lemon wedge, and a lime wedge. It wasn't spicy at all, but was a great consistency... not too thick. The cocktail No. 2 was their twist on a bellini. 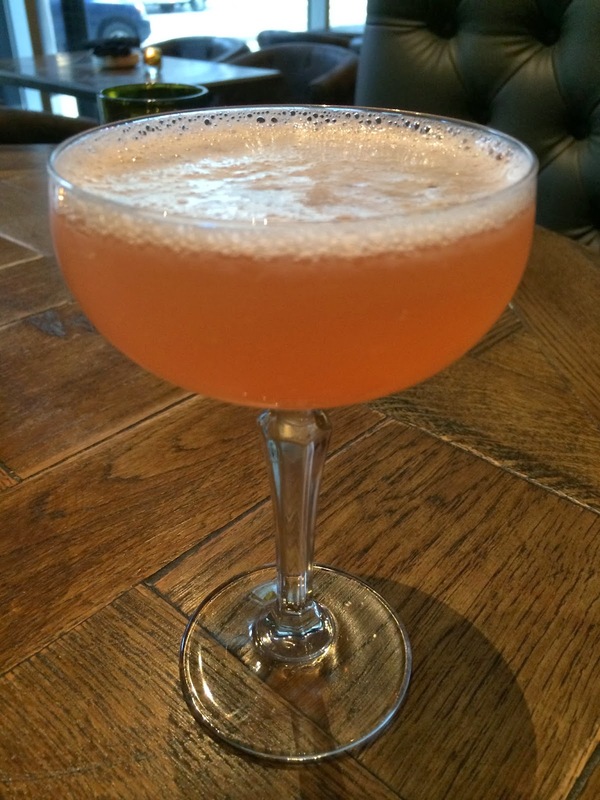 Made with grey goose vodka, rather than just peach, they make their drink with the following: lemon juice, peach puree, blueberry lavender, bitters, and prosseco. It was strong, yet very fruity. It reminded me of a bellini with a slight blueberry aftertaste. - Do order the Coccoli. This dish cannot be missed. - If you aren't huge on crowds, an early brunch is highly recommended. The restaurant is extremely popular at night, but we came for brunch and had a very pleasant experience. - Valet parking is about $14 here for brunch... check for street parking first.